Keeping the ever increasing needs of customers in mind, our company is involved in providing supreme quality range of Non Woven D Cut Bags. 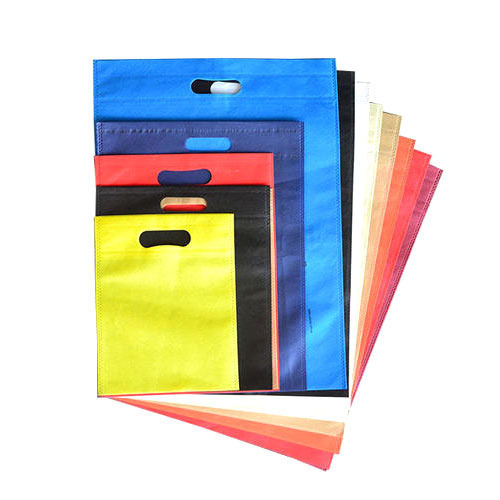 These Non Woven D Cut Bags are are available in different sizes and colors. Savitridevi Polyfabrics (India) Pvt. Ltd. established itself in the year 2011 as a Private Limited Company. We have started our business from Hyderabad, Telangana, India and deals in variety of fabrics & bags, which are used for different purposes. Our products are easily used for household purposes and in different industries such as agriculture, packaging, automotive, hygiene and medical. We are the trustworthy manufacturer, exporter and supplier for our entire product range. Our product range includes Non Woven Fabrics, Non Woven Bags, Shopping Bags, Carry Bags, Wheat Bags, Rice Bags, Seed Bags, Waterproof Tarpaulins, Bed Covers and Crop Covers. We are highly recognized in the global market because of our product quality and wide range of products. Our product did not harm the environment as they are manufactured from Eco friendly fabric. Our products are also available with lamination or non lamination according to the client desire. We export our products all over the world.